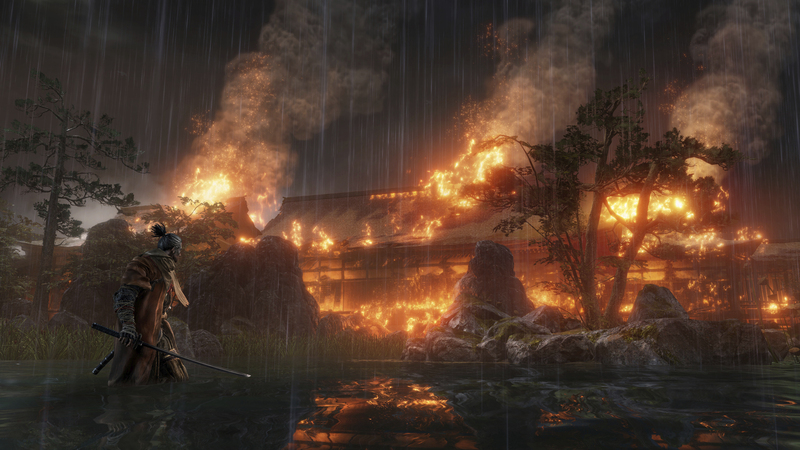 Activision announced at Gamescom 2018 that Sekiro: Shadows Die Twice will officially launch on March 22nd, 2019. Digital Pre-Orders will begin for certain outlets today, and new gameplay details have been revealed about the game from Gamescom’s floor. The prosthetic tools that belong to the “one-armed wolf” protagonist can be reconstructed to unlock new and useful actions, like charge attacks. There is also Sword Combat to look forward to, where players master Sword Arts to supplement regular attacks, to tear down their defenses before delivering the deathblow. Players can also resurrect on the spot, in the event of a hasty or untimely death, to use as a counter-offensive and open new combat strategies up to the one-armed wolf.